To learn more about the Arctic climate we need to understand the processes shaping the weather. 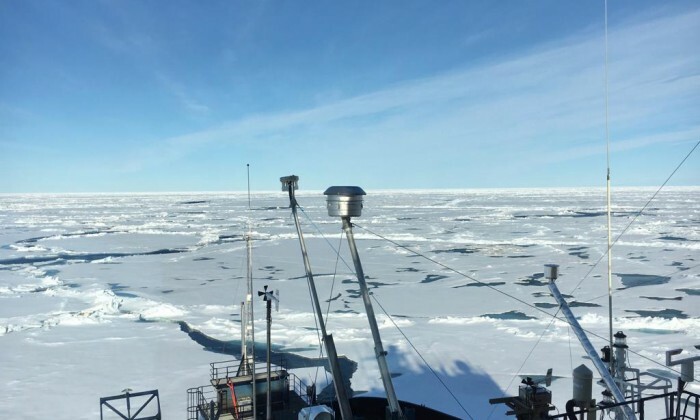 Atmospheric observations are very sparse in the Arctic Ocean, something the researchers behind the project ACAS hope to change. 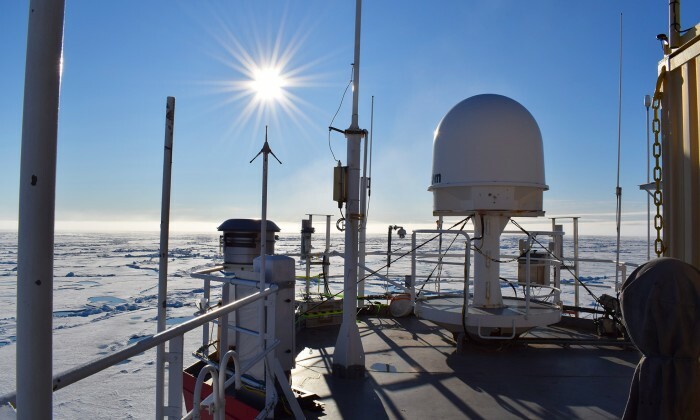 By learning more about the rare aerosol particles responsible for triggering ice formation in supercooled cloud droplets researchers want to create better models for predicting weather and climate. 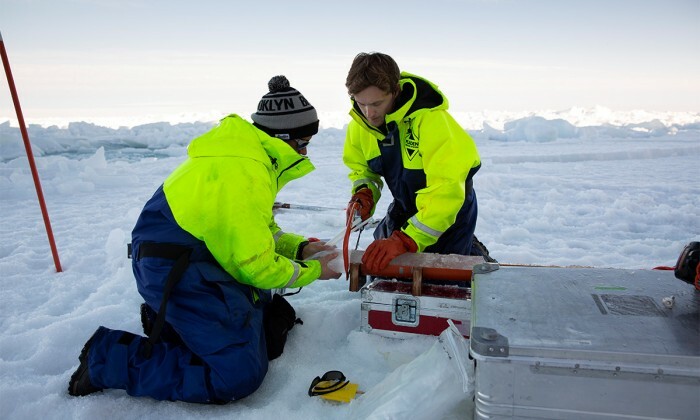 Bursting bubbles from the sea in the Arctic might be important for the global climate. 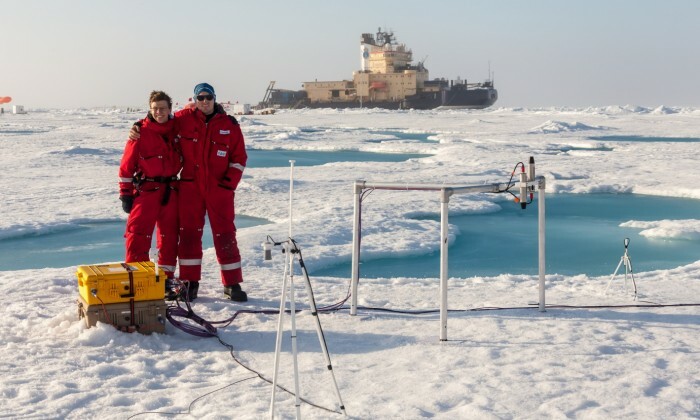 Helen Czerski and Matthew Salter reports on four weeks of measuring bubbles on an ice floe. 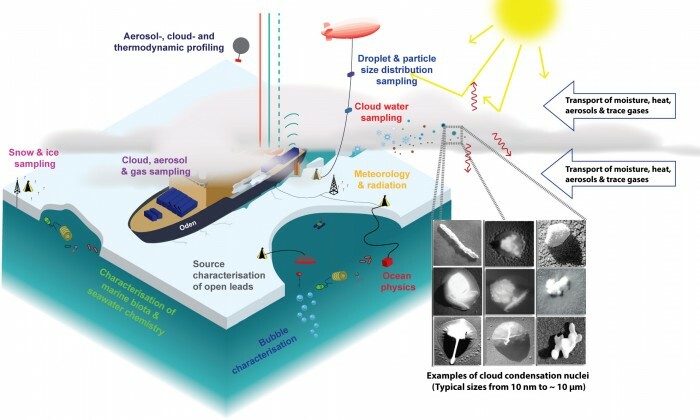 What are high-Arctic aerosols and clouds made of? Close to the North Pole researchers studied the core of the clouds, the small particles in the middle of a cloud droplet. 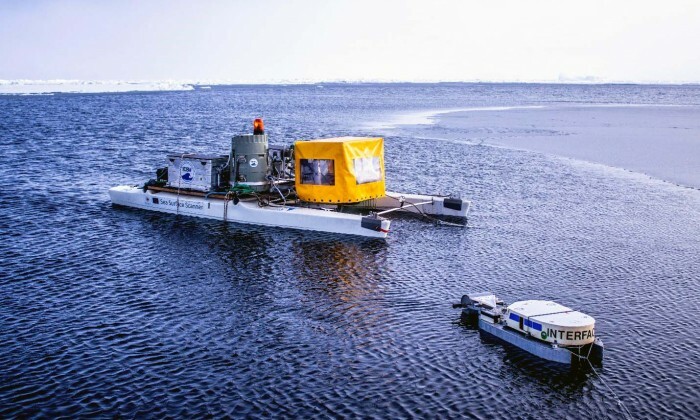 Could marine microorganisms in the clouds slow down the melting of Arctic ice? Could more open water mean more clouds and a slower melting of Arctic ice? To make predictions for the climate we need to know more about clouds. What controls Arctic cloud properties? 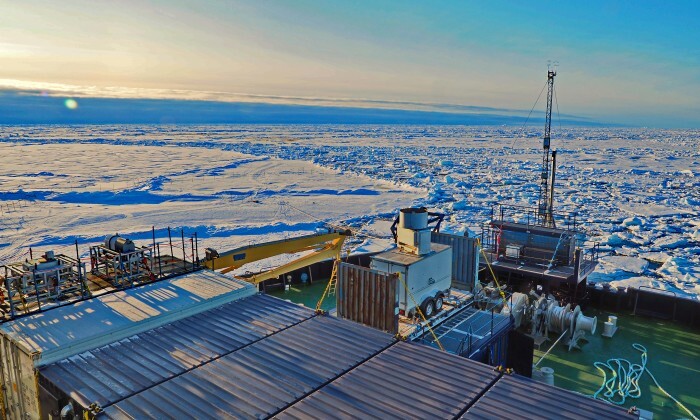 In order to better understand the processes controlling Arctic clouds researchers made detailed measurements of the clouds, and the meteorological conditions that determine where they form. 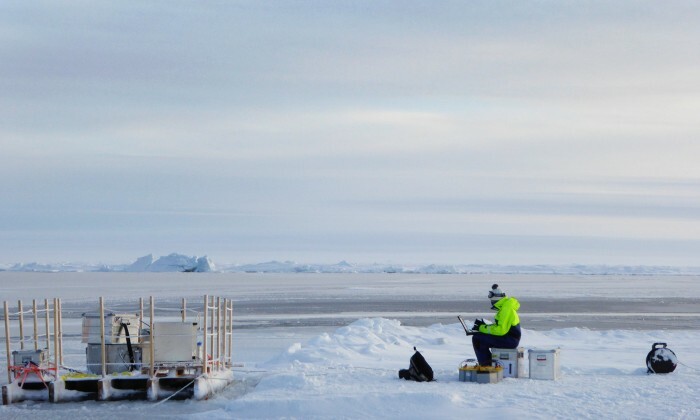 How are sea-ice microorganisms affected by ocean acidification? 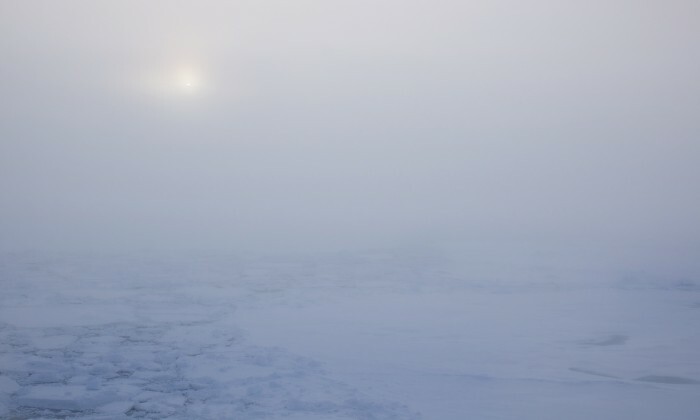 Sea ice is a critical habitat for microorganisms, mainly microscopic algae and bacteria, which are the base of the Arctic food chain and are producers of compounds and particles that can interact in cloud formation. With new technology, we can make observations that increase our understanding of climate change. 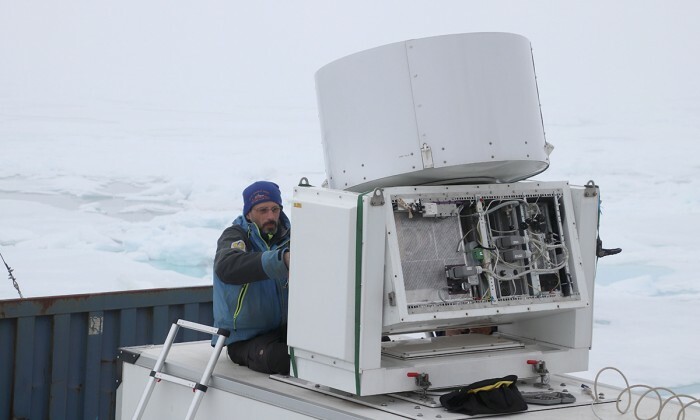 The objective of this project was to investigate the chemical, physical and biological properties of the sea surface microlayer within an open lead in the High Arctic. Aerosol particles are necessary for forming Arctic clouds, but where do they come from and what are they made of?